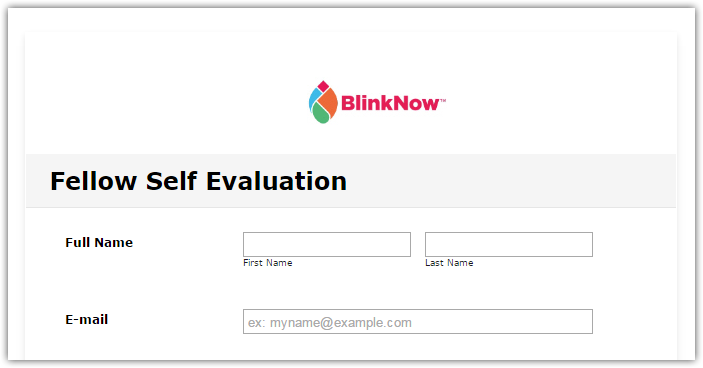 I used a pre-existing form template to create my employee self evaluation form. It came with wonderful heading text between sections, with large bold text and a gray background. However, when I opened the "Designer" feature, the header sections got messed up. I know I didn't change anything about their design, so I can't go back and undo anything. Now the text in each header box appears flush with the left edge of the gray background color, instead of having a small bit of padding like there used to be in the form template. 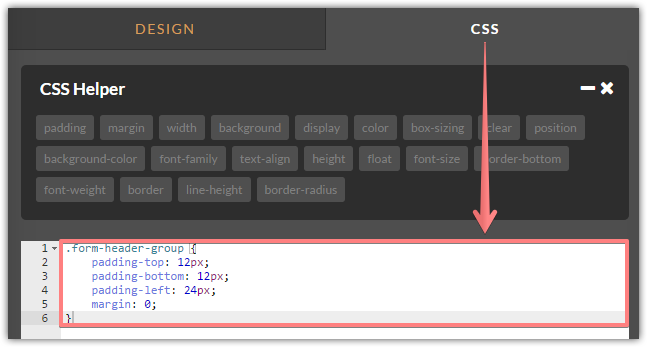 It is possible to add the next styles via form designer CSS section in order to re-style the form headings in a previous manner. 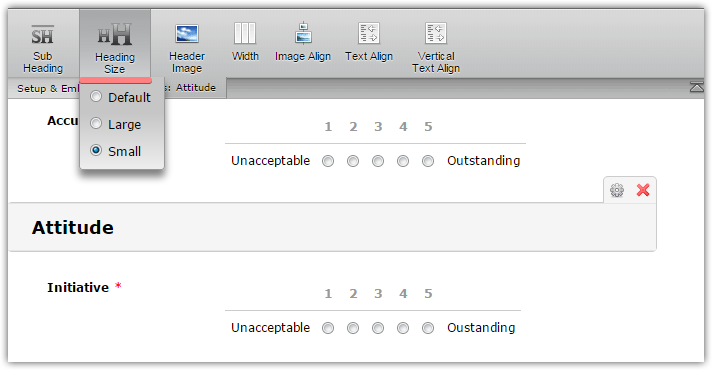 The heading text size can be adjusted in form editor.